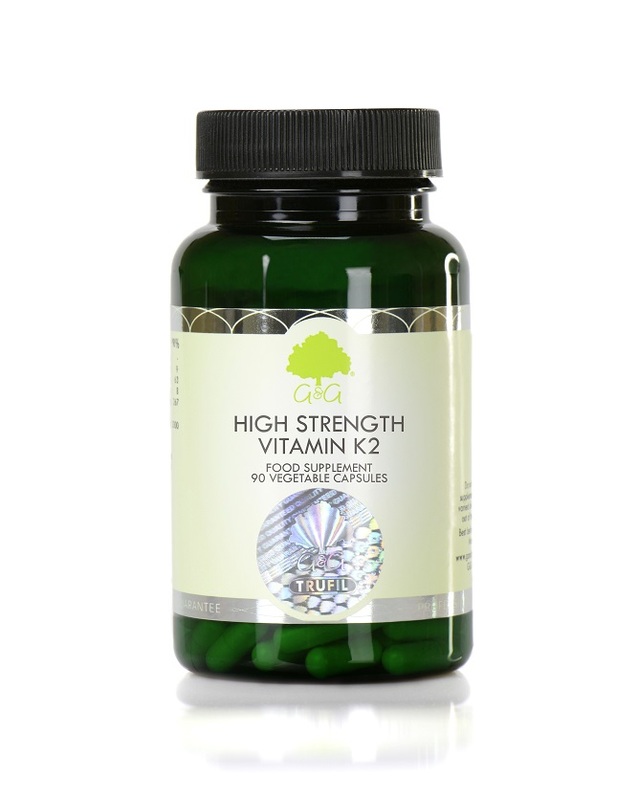 High Strength Vitamin K2 provides exactly what you would expect, high-quality and high strength vitamin K within a vegetable cellulose capsule. Each capsule provides 200μg of Vitamin K2 (MK-7). Vitamin K2 is a fat soluble vitamin which stays in the blood longer than K1 and is much more bioavailable, allowing it to accumulate extra supplies. Vitamin K2 is useful for bone health and therefore beneficial as part of a supplementation programme for post-menopausal women. Our High Strength Vitamin K2 supplement comes in the form of a vegetable cellulose capsule. This enables us to offer a supplement that doesn't require any unnecessary chemicals, excipients, binders or unnatural fillers. A vegetable cellulose capsule is designed specifically to break down naturally within the acid of your stomach, ensuring that the body absorbs the nutrients during digestion. Take 1 capsule daily with a main meal or as directed by a professional.